Yang’s research encompasses a wide spectrum of topics, including (1) data-enabled design and data science; (2) combustion dynamics in propulsion and power-generation systems;(3) multi-fidelity modeling and simulations of fluid flows and combustion; (4) combustion of energetic materials; (5) high-pressure transport phenomena, thermodynamics and combustion, and (6) nano technologies for propulsion and energetic applications. He has established, as the principal or co-principal investigator, more than 70 research projects, including nine (9) DoD-MURI projects. He has published 10 comprehensive volumes and numerous technical papers on combustion, propulsion, energetics, and data science. He was the recipient of the Air-Breathing Propulsion Award (2005), the Pendray Aerospace Literature Award (2008), the Propellants and Combustion Award (2009), and the von Karman Lectureship in Astronautics Award (2016) from the American Institute of Aeronautics and Astronautics (AIAA); the Worcester Reed Warner Medal (2014) from the American Society of Mechanical Engineers (ASME); and the Lifetime Achievement Award (2014) from the Joint Army, Navy, NASA, and Air Force (JANNAF) Interagency Propulsion Committee. Yang was the editor-in-chief of the AIAA Journal of Propulsion and Power (2001-2009) and the JANNAF Journal of Propulsion and Energetics (2009-2012). He is currently a co-editor of the Aerospace Book Series of the Cambridge University Press (2010-). He serves, or has served, on a large number of steering committees and review/advisory boards for government agencies and universities in the U.S. and abroad. 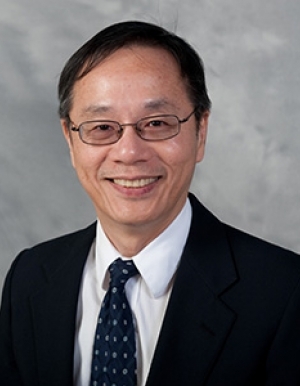 A member of the U.S. National Academy of Engineering and an academician of Academia Sinica, Dr. Yang is a fellow of the AIAA, ASME, and Royal Aeronautical Society (RAeS). Member, U.S. National Academy of Engineering; Academician, Academia Sinica; Outstanding Teaching Award (1989), Premier Research Award (2005), Penn State Engineering Society (1989); Best Paper Awards, AIAA (Propellants and Combustion, 1996; Air-Breathing Propulsion, 2004, 2007); Air-Breathing Propulsion Award, AIAA (2005); Pendray Aerospace Literature Award, AIAA (2008); Propellants and Combustion Award, AIAA (2009); William R. Marshall Award, Institute for Liquid Atomization and Spray Systems (2013); Worcester Reed Warner Medal, ASME (2014); Lifetime Achievement Award, JANNAF Interagency Propulsion Committee (2014); von Karman Lectureship in Astronautics Award, AIAA (2016).